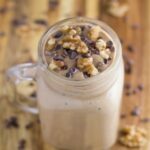 This Chocolate Walnut Breakfast Mousse is so delicious and is a little different than your standard breakfast meals, yet is still healthy and oh so filling. 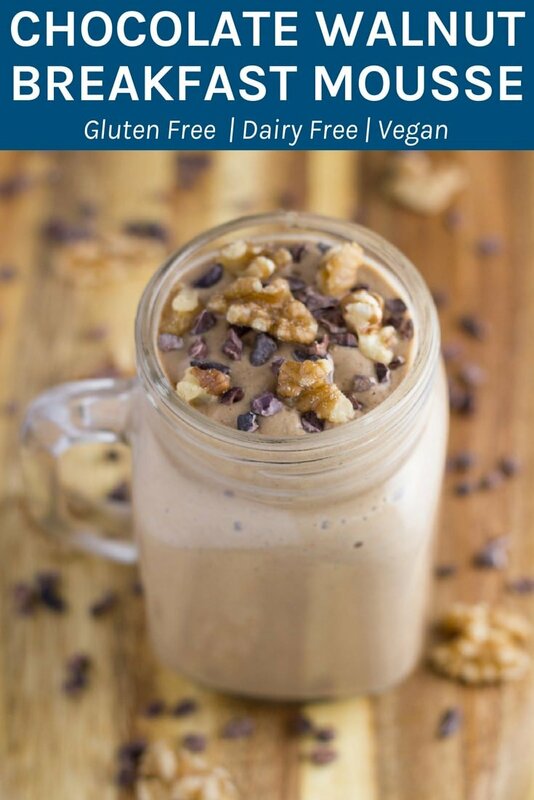 I am always on the lookout for new and exciting breakfast ideas and when I came across this Chocolate Walnut Breakfast Mousse recipe on Amy Crawford’s (aka The Holistic Ingredient) book ‘A Nourishing Kitchen’ and have had it for breakfast quite a few times now. I love it as it is a little different than your standard breakfast meals, yet is still healthy and fills you up nicely. My version has been amended slightly with less ingredients and can be made just before you want to eat/drink it, as the original version was recommended to be made the night before. Add ingredients to a blender and blend until really smooth. 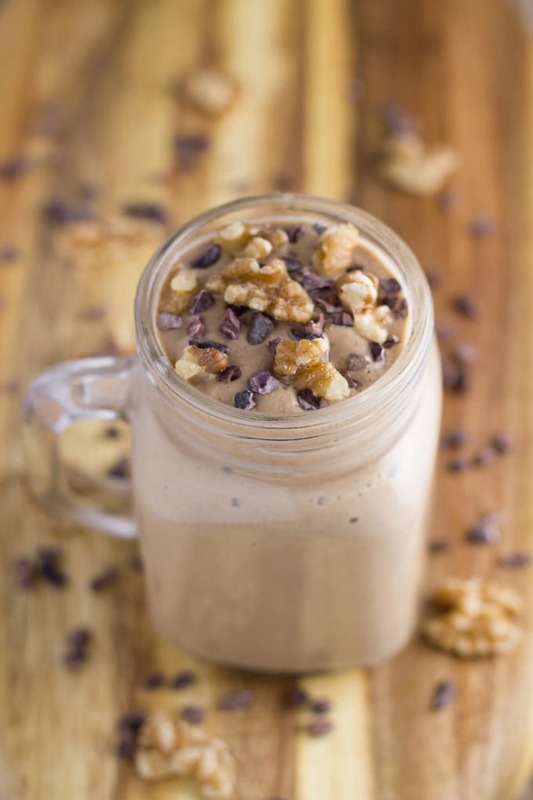 Pour into a glass and decorate with the walnuts and cacao nibs.